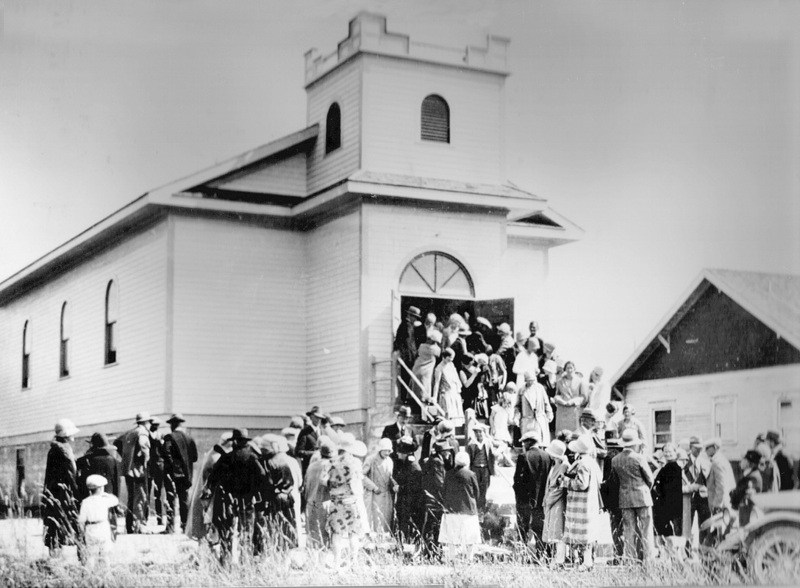 On a day in 1928, a small group of Blaine residents of Icelandic heritage met in a chicken hatchery with their minister Reverend Haldor Johnson to discuss the future of their Icelandic Lutheran church. Reverend Johnson had announced his decision to become a Unitarian. 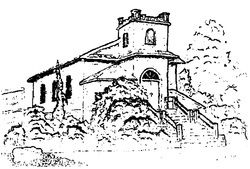 Twenty-six of his followers were sympathetic, making plans to establish a new place of worship, Blaine Free Church. 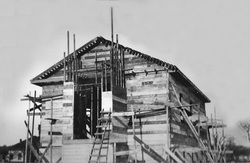 These original congregation members constructed the new building themselves, which held its first services on May 26, 1929. The morning service was conducted in Icelandic, with an evening service in English. A plaque on the sanctuary wall reminds us that this church sprang from Icelandic roots. Unitarianism originated in Europe in the 1500s as a liberal protestant reform movement, based on the belief that God is one, not a holy trinity. Unitarians value Jesus as a source of inspiration and wisdom, and regard him as a fully human teacher and role model rather than as a divine savior. American Universalism originated in the 1800s. The key belief was universal salvation, God being too benevolent to condemn anyone to eternal punishment. In 1961, the two faiths merged as Unitarian Universalism. Unitarian Universalism is a creed-free religion that supports members in finding their own spiritual path rather than being obligated to endorse an orthodox set of beliefs. Our common goal is to nurture inquiring minds, tolerant spirits, and loving and concerned hearts. Free Church Unitarian is housed in the church building. The adjacent dwelling, which originally served as the parsonage, was sold during hard financial times and then repurchased in the 1990s. This building is now named Hagen House, in honor of Vern Hagen, a skilled congregation member who spearheaded major renovations to the building, and now serves as the center for our Religious Education activities. Blaine Free Church is financially and philosophically independent, owned and managed by the congregation. An elected Board of Trustees is responsible for overseeing routine operations. Major decisions are made by democratic vote at congregational meetings held in the Fall, Winter, and Spring. Free Church Unitarian is a member congregation of the Unitarian Universalist Association (UUA), and association of over 1200 churches and fellowships in the United States. We are also part of the Pacific Northwest District (PNWD). We support the work of the Unitarian Universalist Service Committee (UUSC), which works worldwide to promote human rights and social justice. Today our membership is of diverse ethnic heritage. Indeed, a cornerstone of Unitarian-Universalism is to welcome diversity as a source of spiritual richness. Membership in Free Church Unitarian is a personal choice and is completely up to the person as to when they wish to become a member. Becoming a member basically means that a person is ready to play an active role in the ongoing development of the Church. Normally, people have spent some time attending services and getting to know members as well as reading and engaging with the philosophical underpinnings of Unitarian Universalism. Joining Free Church requires signing our membership book, which can be done in private or in the presence of the congregation during any Sunday service. [Our membership book dates back to the opening of our Church in 1929; the early entries are in Icelandic]. There are no contracts or specific expectations that are required upon membership. And yet, it is assumed that members will vote on the issues which come before the congregation at Congregational Meetings occurring three times during the Church year. Most members do pledge a financial contribution for the year to help establish and maintain a budget to keep the Church running. If someone cannot donate funds, there are other important ways to be an active member, such as being involved in Religious Education, fundraising, social justice causes, presenting a service, or helping at various events held throughout the year. If anyone should be interested or have questions concerning membership, contact the Rev. Amy Moses-Lagos or one of our Church Board members.